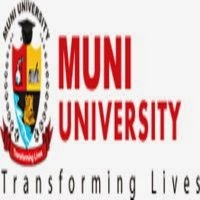 The university aims to be a model University for transformation and development. Its mission is to provide quality education, generate knowledge, and promote innovations & community empowerment for transformation. It offers bachelor degree programs in the field of Information System, Vocational & Technical Education, Science with Education and Nursing. At the moment, it is offering Bachelor programs in Information Technology and System under Private Sponsorship Admissions. Each applicant should either possess the Ugandan Certificate of Education (UCE) with at least (five passes) or its equivalent and at least two principal passes at Advanced Level obtained at the same sitting. Holders of at least a Second Class or Credit Diploma from a recognized institution relevant to the programme applied for. Pay non-refundable application fee of UGX. Shs. 50,000/= (excluding bank charges for Ugandan students and those coming from the East African federation in the Muni University Fees Collection A/C No 9030009220525 in STANBIC Bank ARUA. For other foreign students outside the East African Federation, US $ 50 (or equivalent in UGX) MUST be paid in the Muni University Fees Collection A/C No 9030009220525 in STANBIC Bank ARUA. This site offer you best and excellent engineering services. By clicking here https://www.graduateschoolstatementofpurpose.org/writing-a-graduate-statement-of-purpose-electrical-engineering-masters/ service guarantees your paper will be ready for submission as soon as you receive it. This university aims to do good things for studnets and offering many programs. We must explore more ideas and see how we can get more programs. Well i was looking for admission application lists from many days. Thank you for the information shared here https://www.writemythesis.net/5-main-parts-of-thesis-paper/ and keep us informaing every bit of detail.